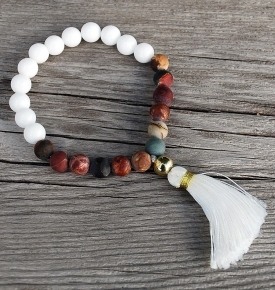 These smaller, handheld malas are often used for daily wear or travel. 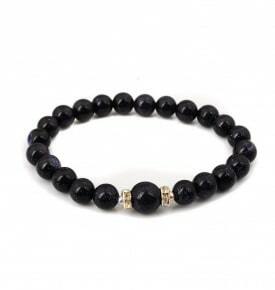 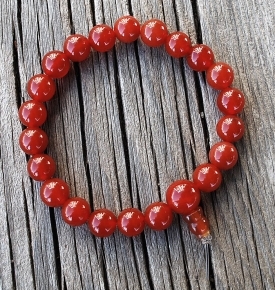 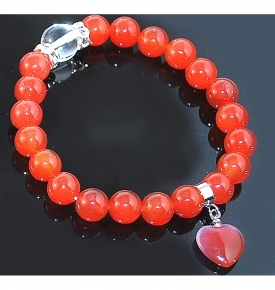 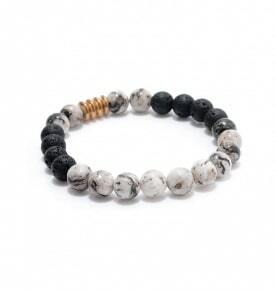 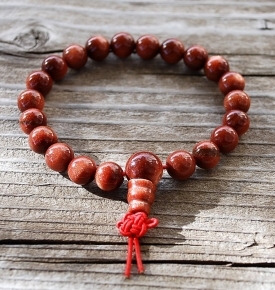 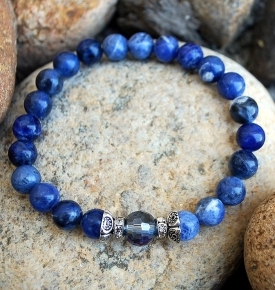 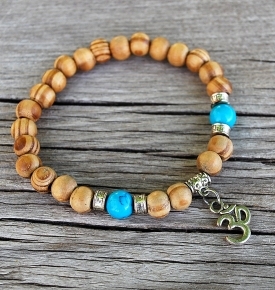 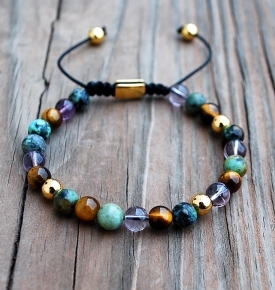 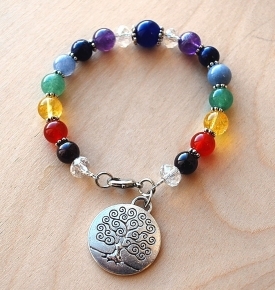 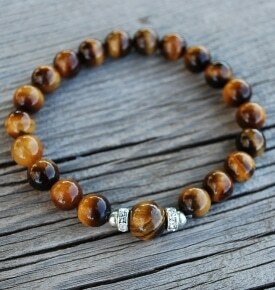 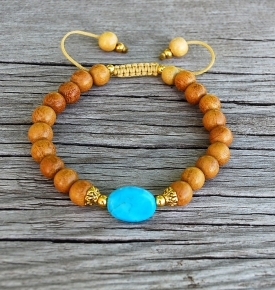 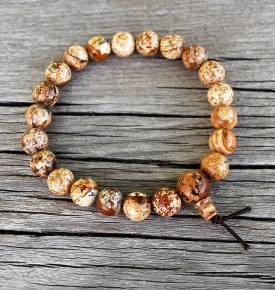 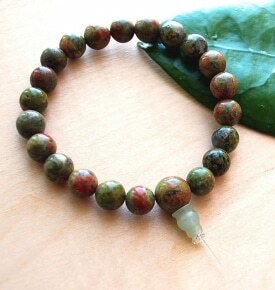 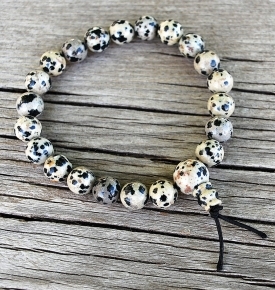 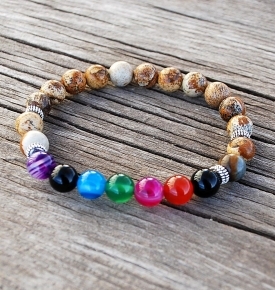 These recently entered popular culture and were known as power beads or wrist malas. 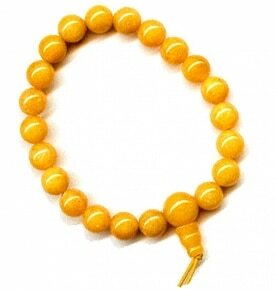 These are usually made from semi-precious stone or wood and have about 21 beads, strung on a stretchy cord to be worn around the wrist. 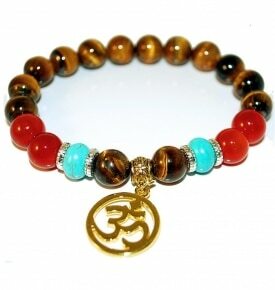 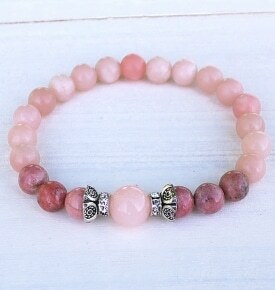 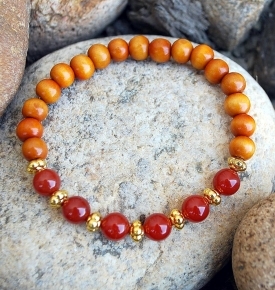 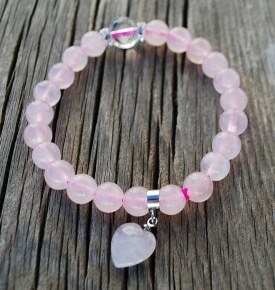 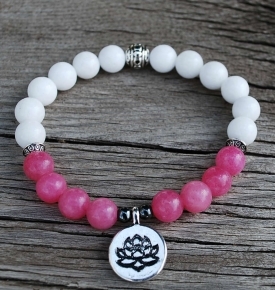 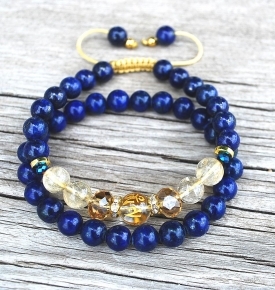 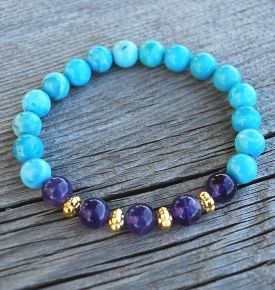 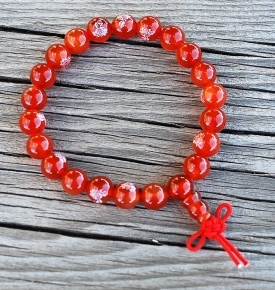 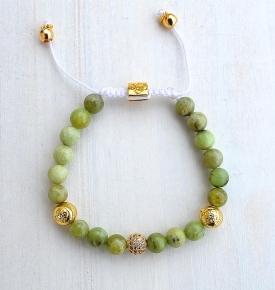 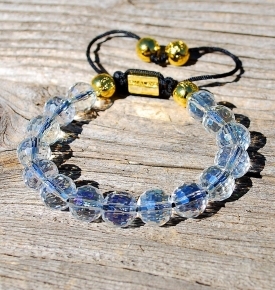 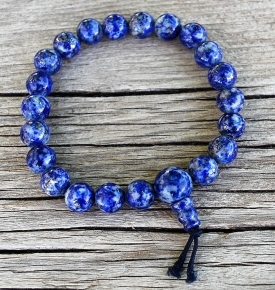 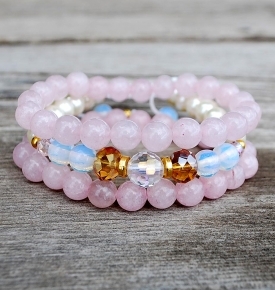 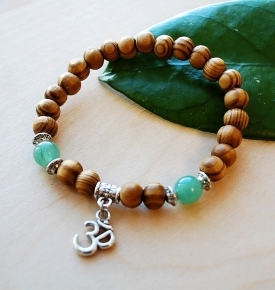 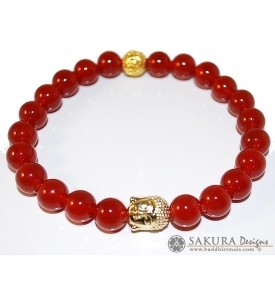 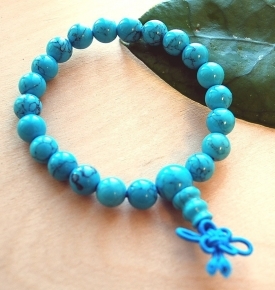 Sakura Designs creates and imports these beautiful mala bracelets. 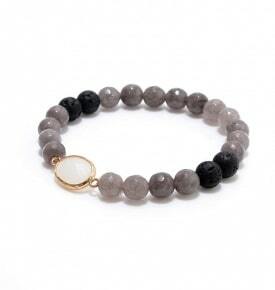 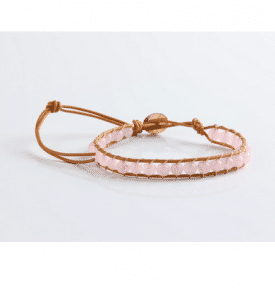 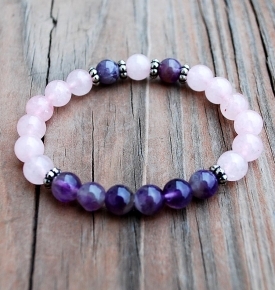 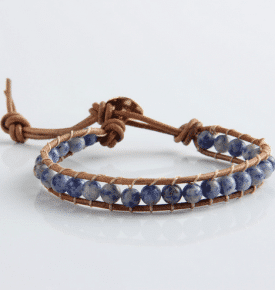 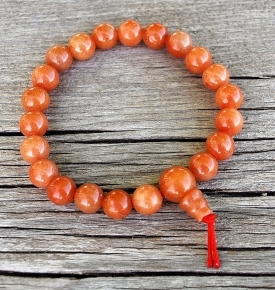 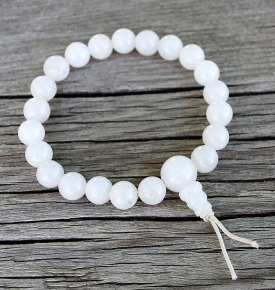 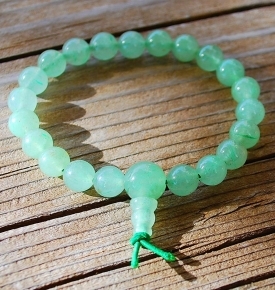 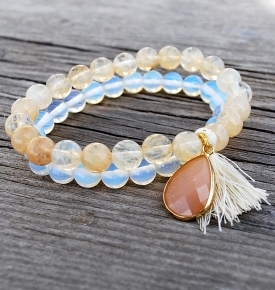 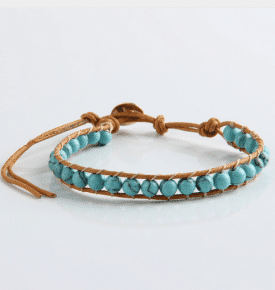 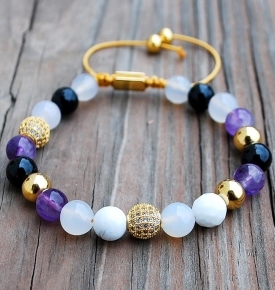 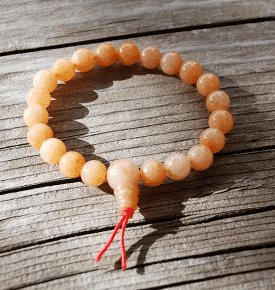 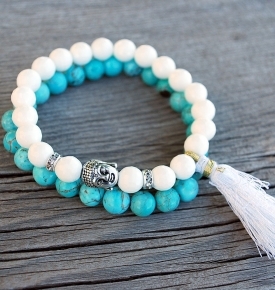 The most common wrist malas are known as “mala bracelets” and have approx. 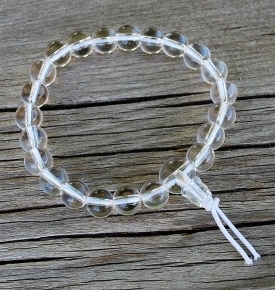 21 beads on stretchy cord. 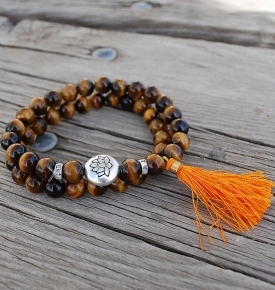 The more formal hand malas or travel malas are imported from Japan, and are gift boxed. 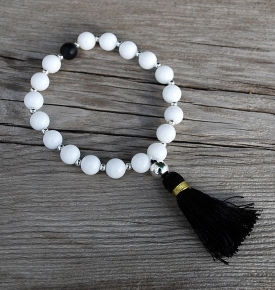 We are pleased to offer these select imported malas, directly crafted from Fair Trade artisans in Tibet, Nepal, Hong Kong and India. 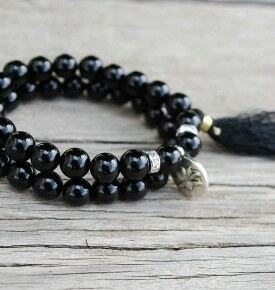 Please remember to include a mala bag to store your beads in when not in use.